Anyone who wants to get married wants a wedding that reflects their personality and core values. 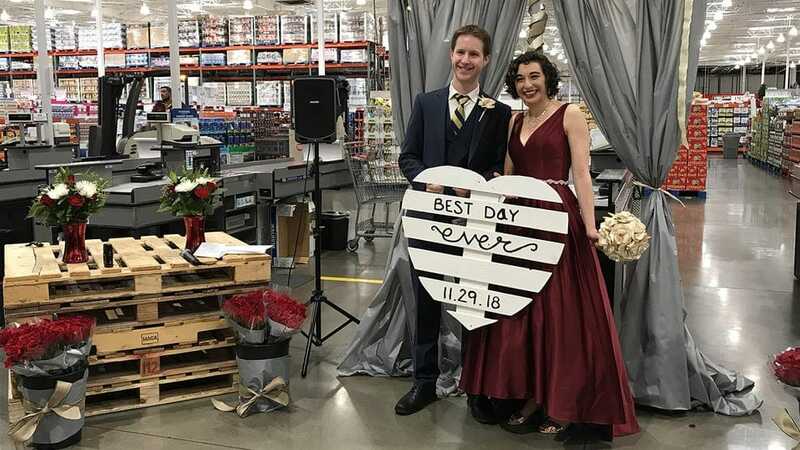 However, one couple simply chose to have their wedding at their favorite place in the world – Costco. With all of their friends and family in attendance, it made perfect sense for Margot Schein and Julian Parris to tie the knot at this specific location. 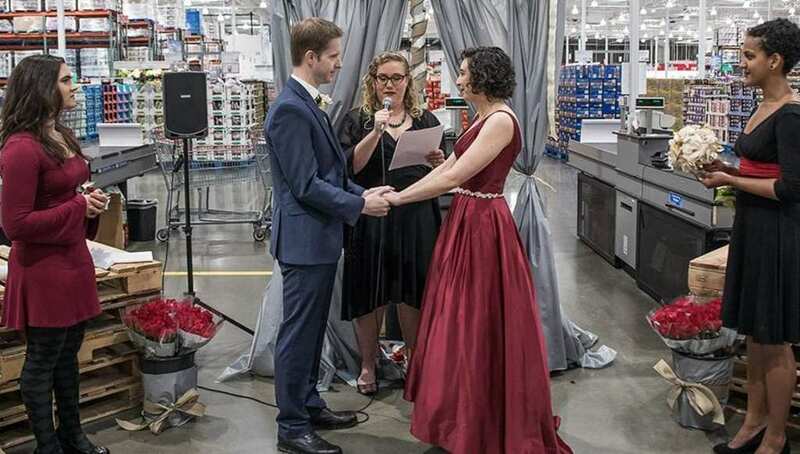 Three years prior to their big day, the couple’s first date was at Costco after they met online. After Julian specified in his online dating bio that he loved Costco more than any other place in the world, Margot was extremely excited to get in touch with him. “We have so much in common, but Costco is the first thing,” she said. With the newlyweds’ reception nibbles coming in paper cups, every aspect of the wedding was done in a Costco theme. The couple even had their ceremony by the cash registers. Moreover, the couple ended up going up and down the exact same aisles they had walked through on their first date. Even the cake was freshly baked by the store’s bakery, which they are obviously huge fans of. “It was three years ago to the day today,” Margot said, while holding the bouquet. “We technically met online, but I only messaged him because he had Costco in his profile.” Costco isn’t the only thing that the couple has in common though. They are also huge Harry Potter fans, with Margot wearing Gryffindor colors and Julian sporting a Ravenclaw motif. 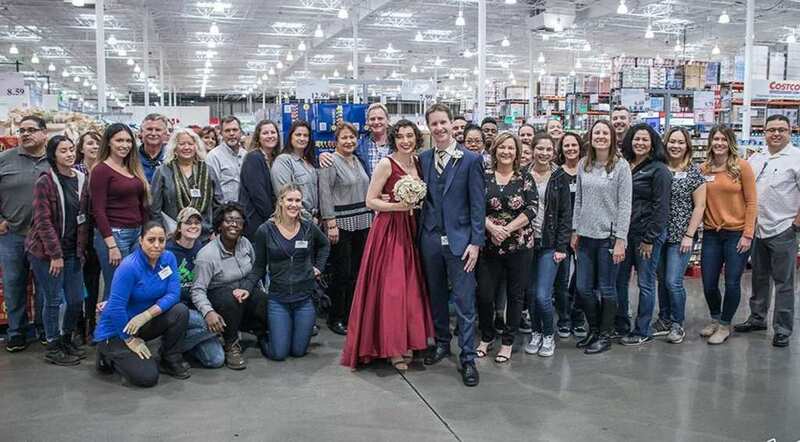 In order to celebrate in style, the newlyweds popped open a bottle of champagne which the store employees provided as a gift. “On our first date, we got pizza and hot dogs and then spent an hour walking around,” Margot said. “It was just such a good date.” These days, the couple is interested in pursuing their respective careers. While Julian got a Ph.D. in psychology, Margot wants to complete her masters.